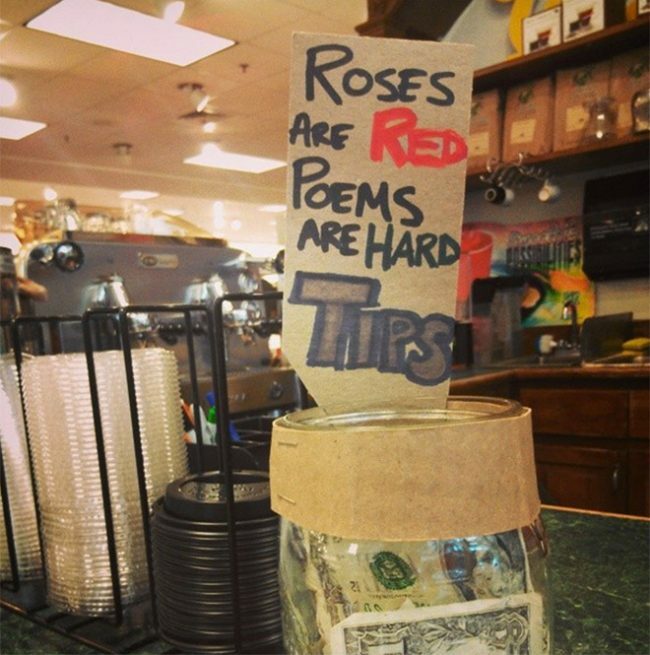 It’s always great to tip people who serve you and make your day easier but sometimes those jars that just say “tips” are so uninspired. 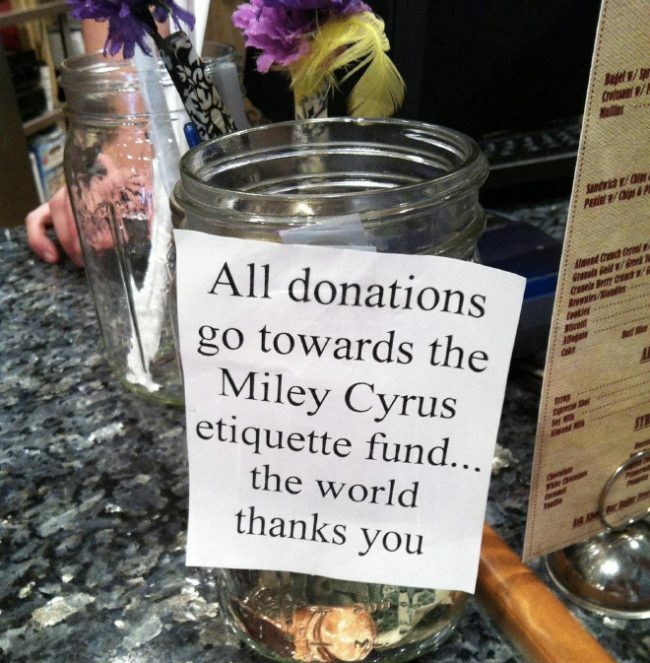 These tip jars are so funny that we would probably empty our entire wallets into them! 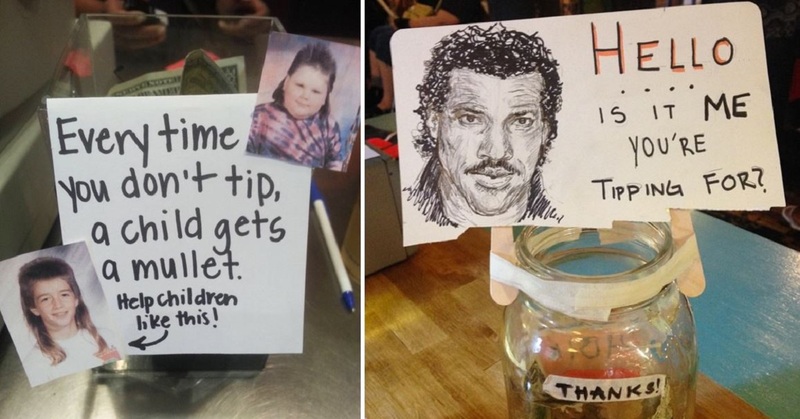 These funny and clever tip jars are going to make you depart with your cold hard cash, at least its going to people that deserve it, though. We could all do with a little evil cleansing every now and then. 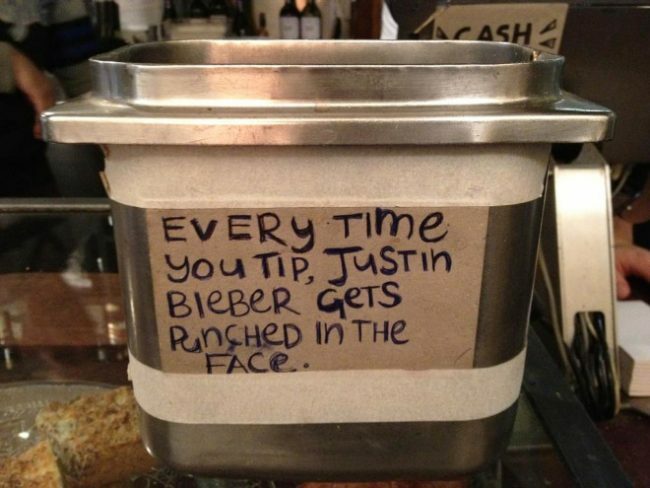 This tip jar is doing you a favour! No one wants to carry around the root of all evil, right? 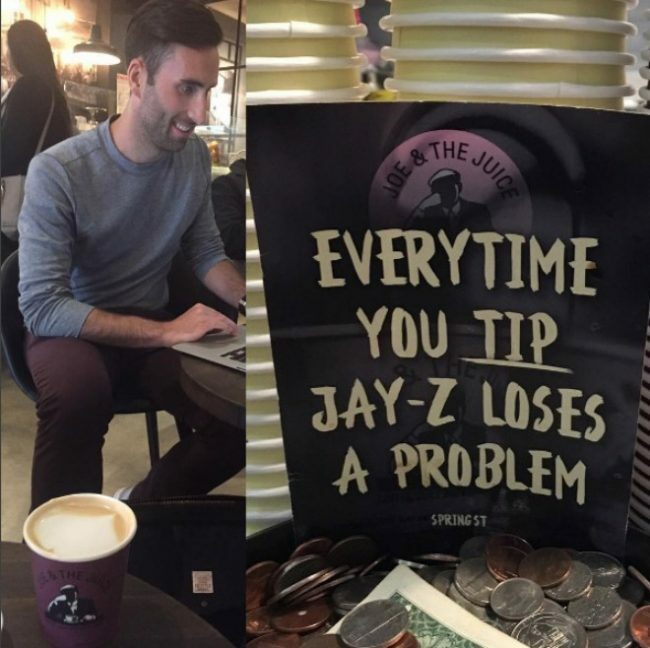 Jay-Z has far too many problems and he needs help, don’t leave him to deal with 99 problems on his own, please. 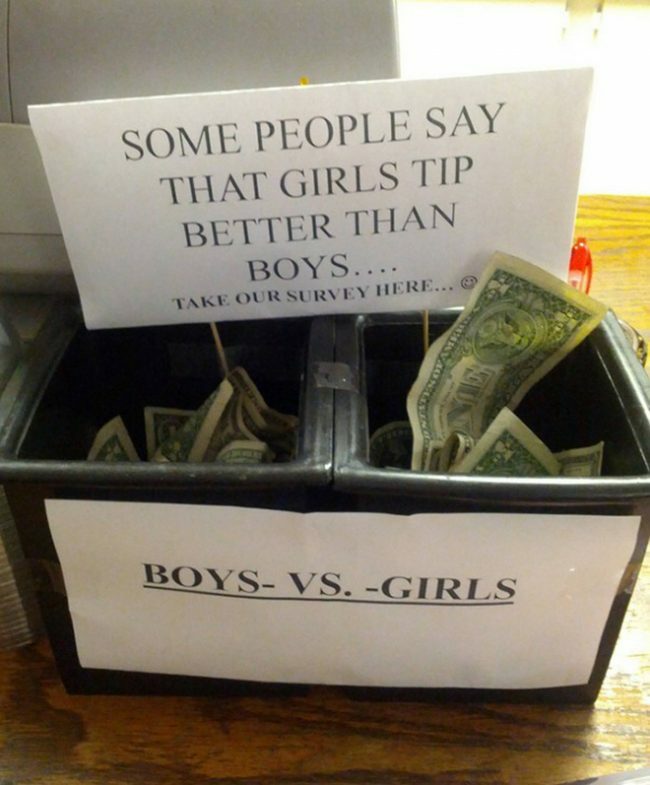 OBVIOUSLY, we would always have to tip $10 here. Otherwise, we would just be lying and we aren’t liars. 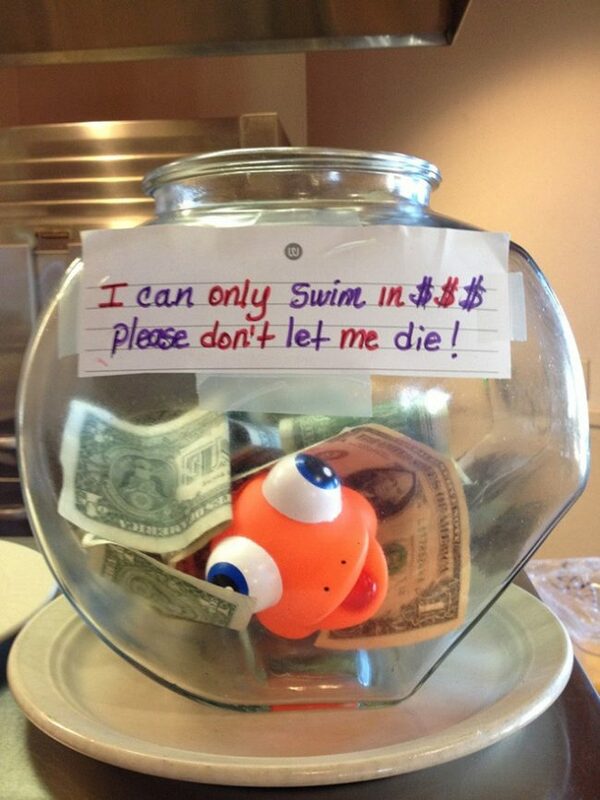 Not only will you be leaving a nice tip but you will be saving this poor little goldfishes’ life. Good deed of the day = done! How could you not love this beautiful poem?! Definitely deserves a tip, well done to the wordsmith that crafted this genius piece of art. 9.) Finally, a cause we can get behind! 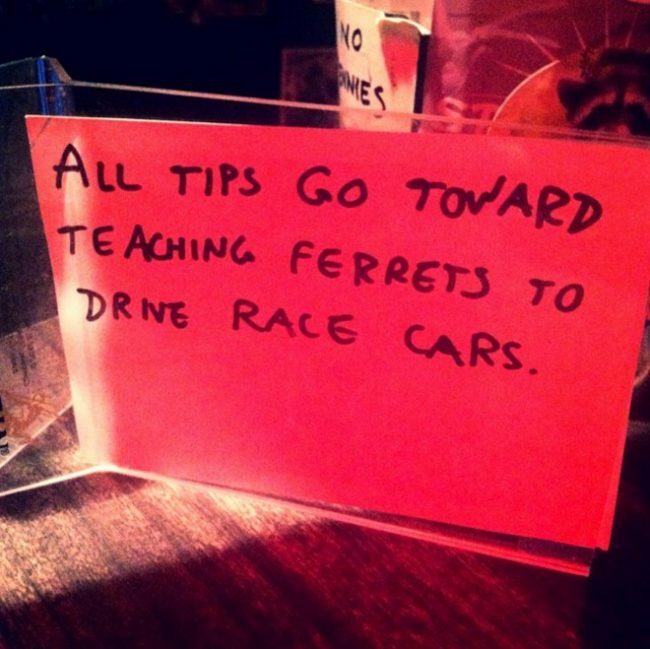 Who wouldn’t want to watch a ferret drive a race car? We would pay to WATCH that never mind paying to make it happen. Take all of our money and make it happen, or else. 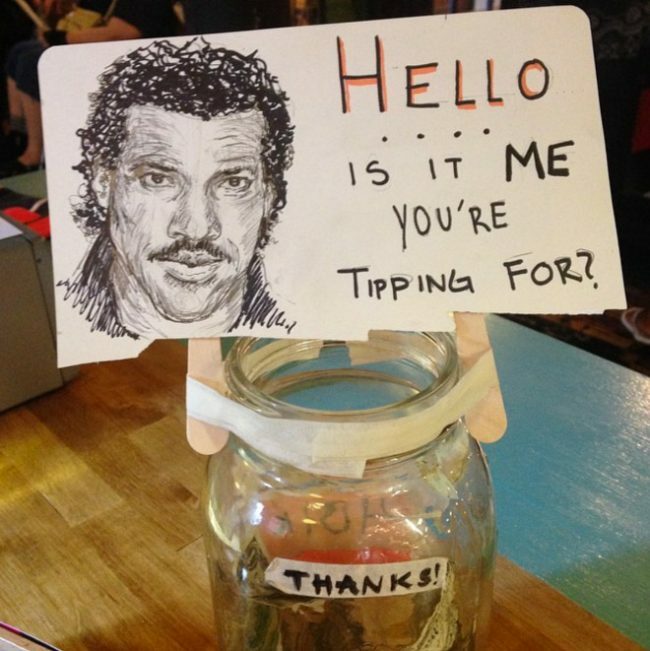 If a picture of Lionel and a funny play on his song, ‘Hello’, doesn’t make you tip then we don’t know what will and you need to rethink your life choices. 11.) Do you get it? 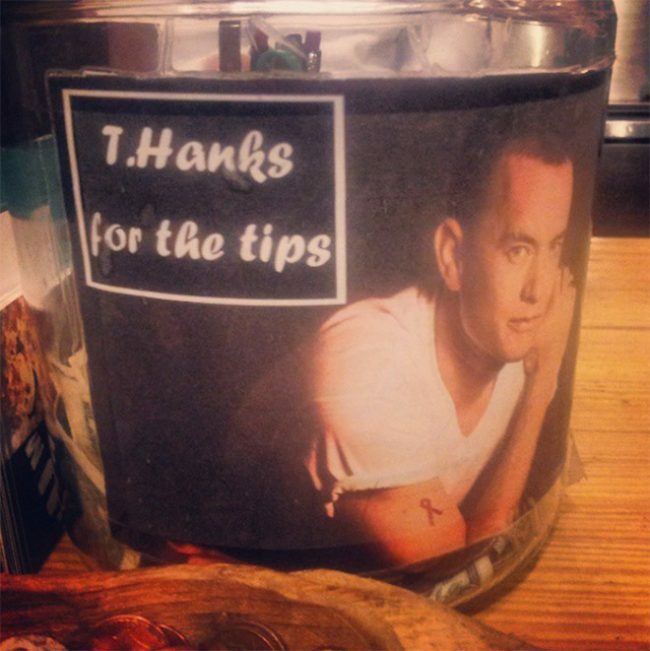 COME ON, it’s Tom Hanks on a tip jar, you NEED to fill that with all of the money you own. Tom Hanks is a national treasure and needs to be appreciated more. If someone asked me what the hardest decision of my life was, I would show them this picture. 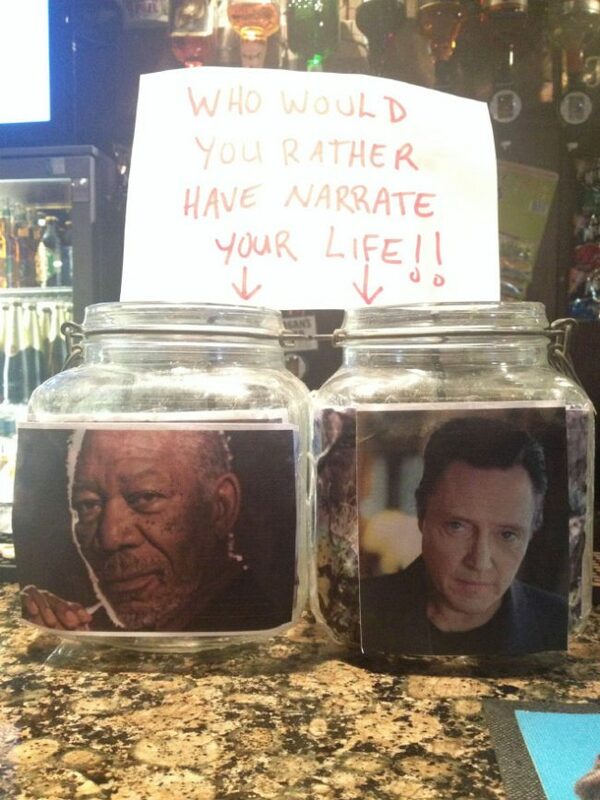 I guess I should just tip both, I would happily have either of them narrate my life. Honestly, I’m not a millionaire (shocking, I know) but if I was, I would put at LEAST $1,000 in this fund, the world needs it. 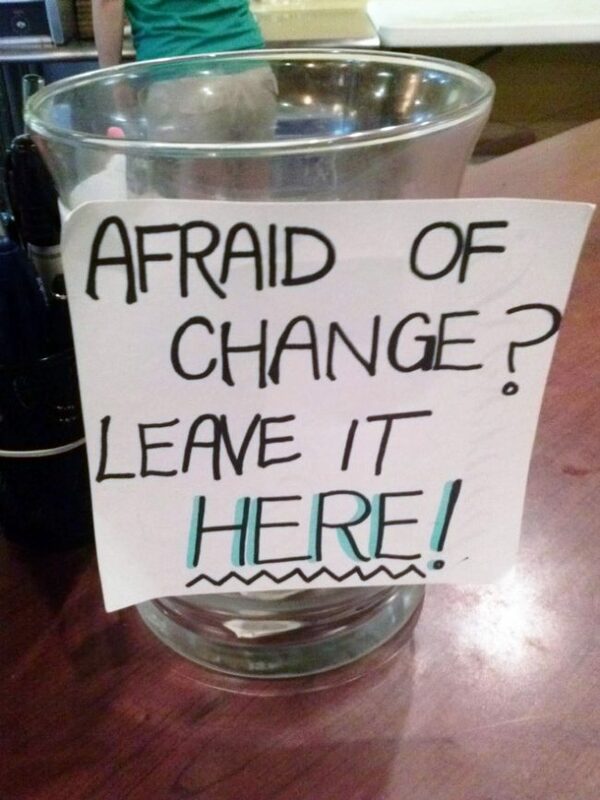 Change is quite terrifying, to be honest. I like my nice, comfy familiar surroundings (I think that I’m secretly a cat). 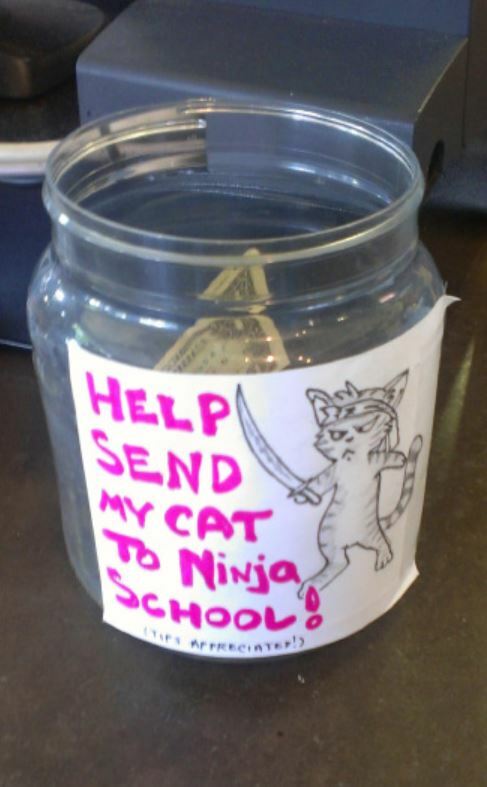 I would be showering this tip jar with my cash. This one’s a little bit cheeky, isn’t it?! 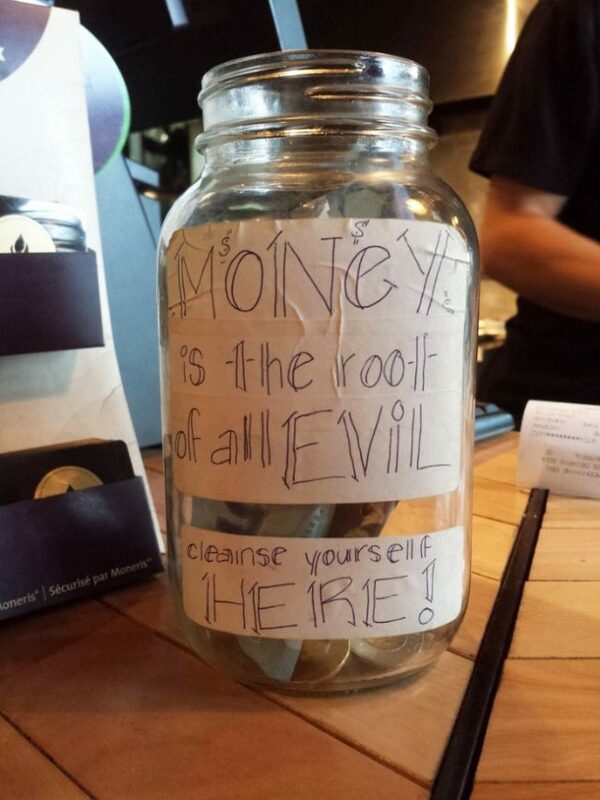 This is hilarious but also a little bit creepy…we think that we would throw our tips in and run. 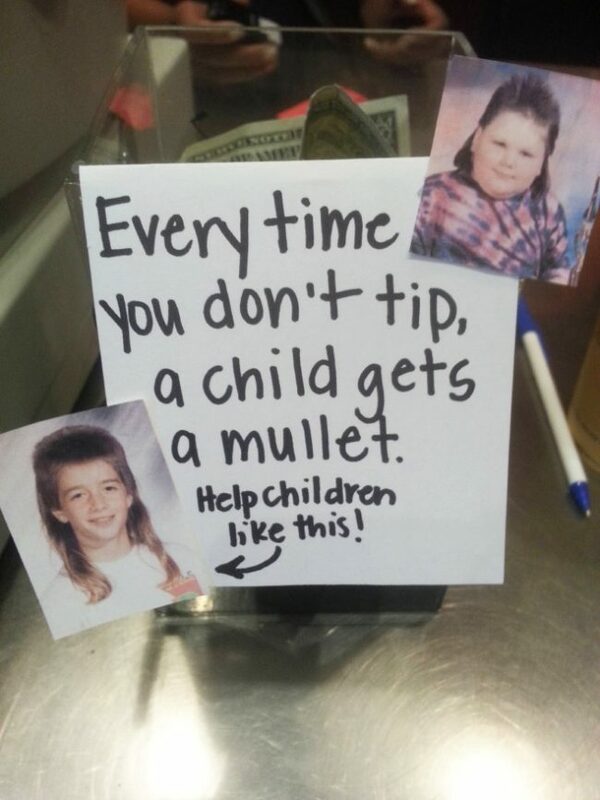 The fate of mullet-haired children lies in your hands! I don’t think that I’ve ever felt so empowered in my life. It’s time to step forward and become the true hero that I really am, take my money and save the children from humiliation! Well, now I’m all out of money, how about you? 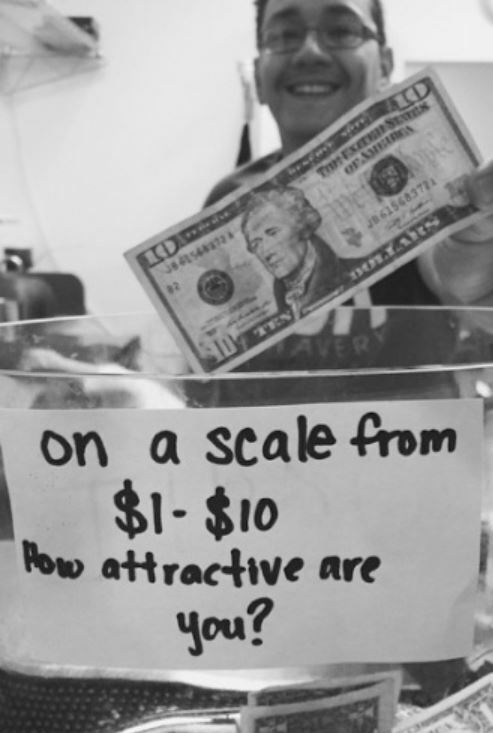 What did you think about these tip jars, have you ever come across funny jars that take your money? 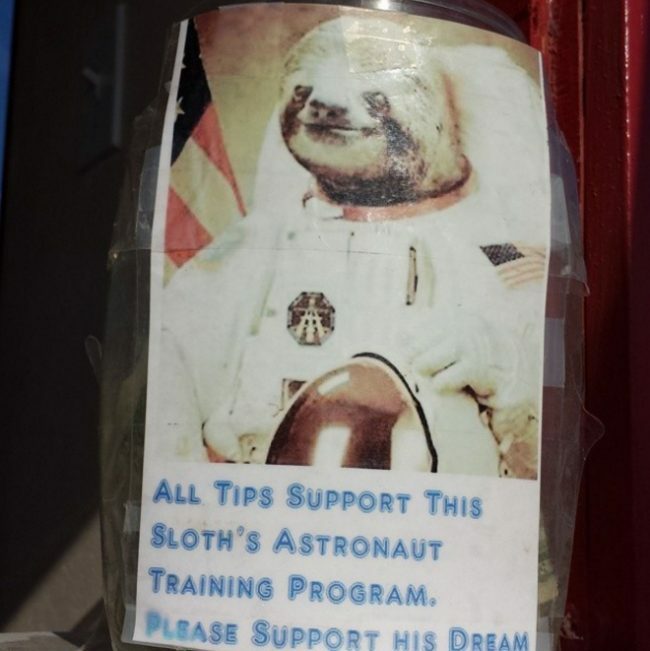 Next time someone asks for tips, think of these hilarious tip jars and give generously!